Gaana Plus allow you to listen to your favorite music with out any advertisement. 6 month subscription of Gaana Plus worth INR 249, and here is how you can get it for FRE. First of all you need to have a Flipkart Account. If you do not have one, create one. 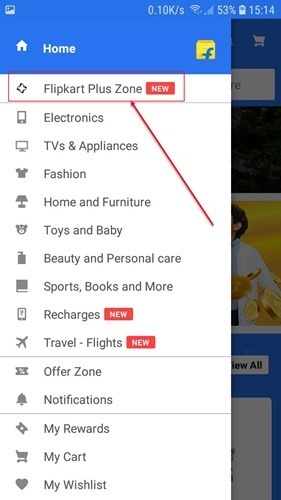 Open the Flipkart Application on your phone and login(if you have not done this already). 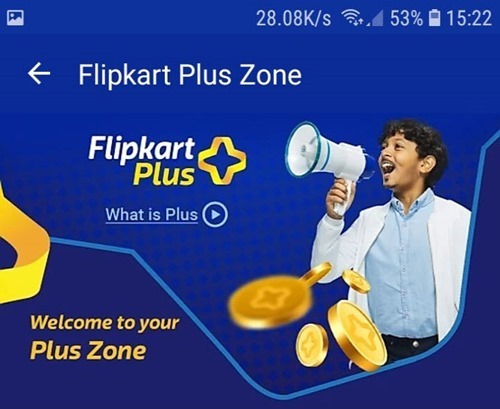 Open the the left menu and click on Flipkart Plus Zone. Signup if you have not done this so far. (It is Free). This will give a you a one year Flipkart Plus membership for FREE. As a welcome offer you will get few more items which includes 6 months FREE Gaana plus subscription, select the option and click claim the offer button to get a coupon code. 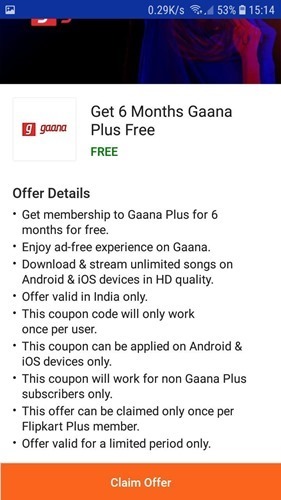 Open the website gaana.com or open the android or iOS Gaana Application, Login(create an account if you don’t have one), open settings and select “Redeem Coupon” and enter the code you received from Flipkart Plus.